The History department has been judged as good overall with many outstanding features based on the department review of 2017. Ms Watson is the subject leader for History and the department is made up of five teachers who work very well together. The courses offered in the department are History and Government and Politics at A Level as well as History GCSE. The History department offers a rich and varied curriculum which includes a number of new topics following national changes. These are well resourced and positively recieved by the students. New topics include Elizabethan England, The Western Front and Superpowers and the Cold War. Teaching in History is good with some outstanding practice. All lessons are well planned, structured and resourced. 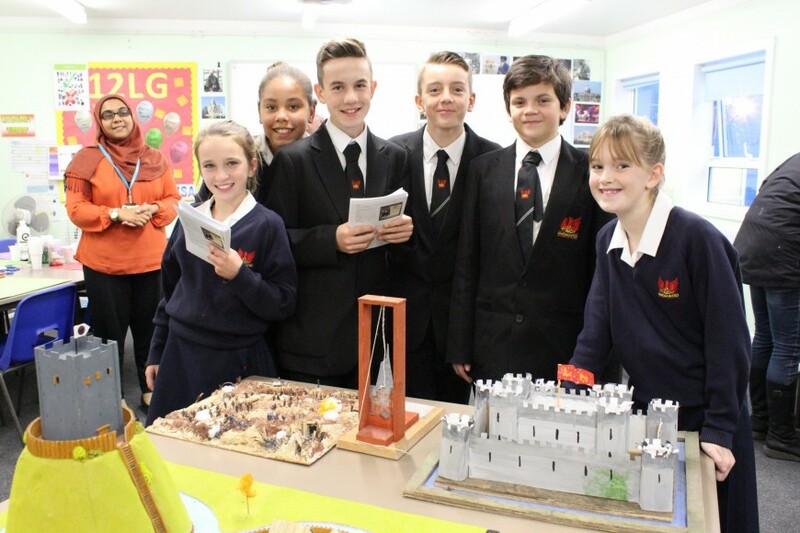 There are lots of examples of exciting and innovative ideas being brought into lessons and the department work very hard to bring history to life in the classroom. The department is focused on driving improvements in students' literacy and essay skills which are vital for their success in the subject both at GCSE and at A Level. Key words are highlighted and their use is modelled well so that students feel confident using them independently. Feedback is carefully directed to support student progress and students tell us that they find this feedback very useful when it comes to improving their understanding and their exam grades. Students make good progress in History. At Key Stage 4, Year 11 students achieved 62% A*-C in GCSE History in 2016 with 24% of students gaining A* and A grades indicating excellent progress at the top level. At A level, Year 13 students achieved 67% A*-C in 2016. Students are very positive about History and they enjoy their lessons, like the topics and feel safe and supported in lessons. A large number of students select History as a GCSE option and a significant number continue their studies onto A Level courses. The GCSE is taught to an increasingly broad ability range and the History department has developed their curriculum and approach to ensure all students can access and understand complex historical subject matter irrespective of their ability. In the build up to the final exams, the department offers and extensive intervention programme both before and after school to offer year 11 students additional learning time whilst Year 13 attend specially designed drop-in sessions. The department run a number of competitions which are enthusiastically enjoyed by students. Trips to various historical places such as the London Dungeon and Clink museum, Hampton Court, Leeds castle and The Houses of Parliament are offered across all key stages to support and enrich their studies. Two students went on to read History at University from last year’s A Level cohort while a number are studying Law-related courses and also international Relations. To continue to develop the GCSE curriculum in preparation for the first exams under the new specification in the summer of 2018. To ensure the successful implementation of the new A Level Politics course. To successfully develop our new NQT to be an excellent member of the department and an outstanding teacher.